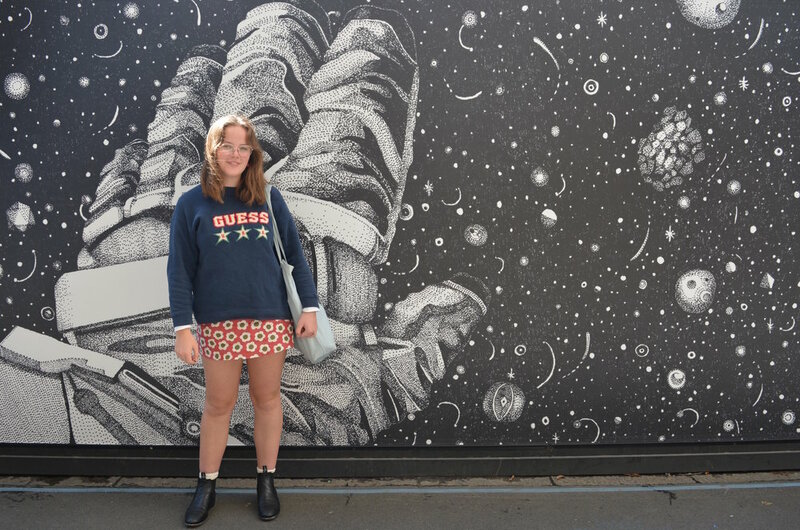 We’ve spotted some pretty unique outfits around campus lately – UTS students are all about self-expression. And while it’s all well and good that they look great, we also want to know what’s going on inside their minds...so we asked them. I’m wearing a trench coat that was my grandfather’s which he bought in Germany, levis jeans, RM Williams boots and Ray Ban sunnies. What were you thinking when you got dressed this morning? When I get dressed in the morning I’m usually thinking about the weather and if it’s cold enough to wear a jacket. My wardrobe is about 70% jackets and coats so I’m always looking for an excuse to wear one. It kind of depends on my mood. I only really dress to make a statement when I’m feeling fragile or hungover, otherwise it’s probably a healthy combination of the two. I’m wearing probably my favourite ever jumper, a skirt I bought a few years ago and my best purchase to date: my RMs. What has taken up most of your brain space in the past week? Honestly, there’s not much going on up there most of the time, but my friends and I are planning a trip to Sri Lanka in the break so I’ve been day dreaming about that a lot. What do you most admire about UTS student style? I like that despite that there’s a pretty heavy trend of cream knit with jeans and Stan Smith’s, you can always see people doing their own thing and killing it. In nearly every outfit I scope out I can find a piece I like. The other day I saw a guy wearing a pair of hot pink pants and look so cool, which I think is impressive. An outfit sloshed together in fear of the rain that never came. I can’t pinpoint it to one outfit. What’s the coolest thing you’ve seen someone wear on the UTS campus? The DAB building always features all kinds of kooky fits but again, can’t pinpoint it to one outfit.